When you become an expat and are sent overseas, your first three questions to your employer might be: How much will I be paid, which currency will that be in, and how do I get the money to where I need it? When you get paid in your home country and have to make the transfers yourself, you should research the best option. A small difference in fees can turn into a big number. Sooner or later comes the moment when you will want to pay for something in South Africa. And then you may ask yourself: What payment options are there, and which are the best? Well, it depends, I would say. It looks a bit as if it depends on the amount of the bill you’re faced with. Find out here when to use cash and when to use your credit card, and what it means to use EFT. "What is the cost of living in South Africa?" This is the question I am asked most often by people contacting me through my blog (behind "How safe is South Africa," of course), and it is the one I most dread. Because it is very difficult to answer. Firstly, because we are a family of six with very different expenses from, say, a young couple without kids living in an apartment. What is the Cost of Living in South Africa? This post has been incorporated into Let’s Talk Money, a newer and more comprehensive look at the cost of living in SA. 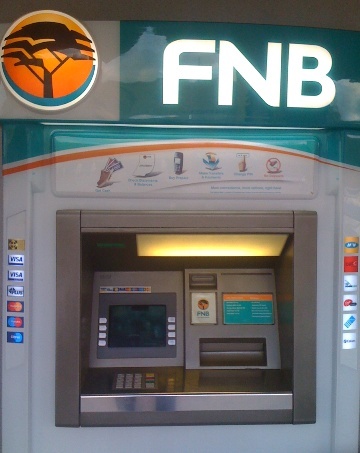 A reader asked if it's possible to open a South African bank account as a foreigner (yes it is!) so I thought I should make a blog post out of it. While I've written about going to the bank, I've never actually told you about opening the mechanics of opening an account. Surprise - there is a little more bureaucracy involved than you might wish for. I had some Euros from a recent trip to Germany to put into our South African account, so I thought I’d swing by the bank quickly on my round of errands. But of course I should have known better. Afterwards, I wasn’t sure if I’d just bought a house.